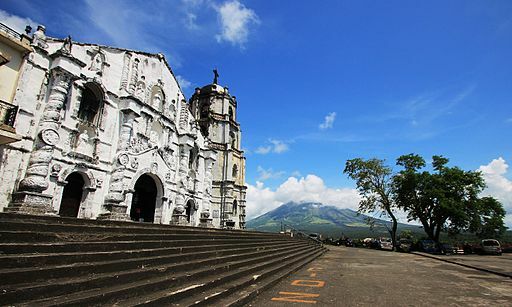 A town known for its natural beauty and delectable food, Daraga is a first class municipality in Albay, one of the six provinces in the Bicol region. Surrounded by massive land, it is located along the Maharlika Highway, about 640 kilometers from Manila and also serves as a route going the Visayas. Daraga is comprised of 58 barangays and 42 of which are rural areas. The name of the municipality, “Daraga”, is a term that means maiden or an umarried woman. It also refers to a type of tree that can be found in the area. According to historical books, the first settlers came to the place around the 12th century. And since Albay is also where Mayon Volcano is located, these settlers had to move from one place to another to ensure their safety. Before it was called Daraga, the town had different names. These were Budiao, Cagsawa and Locsin. If you are backpacking in Albay, you should not miss not have your picture taken with Mayon Volcano as a backdrop. 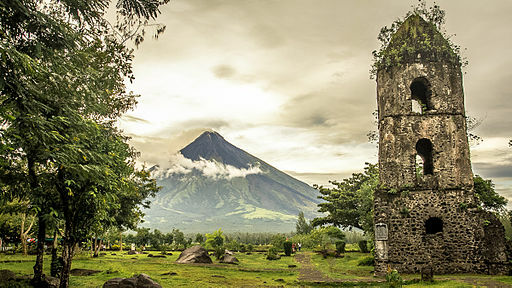 For a beautiful view of Mayon, this is where you need to go. If you signed up with a tour operator, this is definitely included in your itinerary. But if you are travelling to Daraga on your own, you can ask around and for P200 or more, you can ask a motorcycle driver to take you to the Cagsaua Ruins and Daraga Church. Mayon Volcano erupted in 1814 and the people living in the vicinity took refuge in the Church of Cagsaua. Unfortunately, they all perished as lahar or mudflow from the volcano enveloped nearby areas, including the now famous ruins, which is the belfry of the church. It used to be part of the parish of Camalig but was incorporated with the town of Daraga. Today, it has become one of the most visited tourist attractions in Albay and for two hundred years it has stood its ground. Also called Daraga Church, this 18th century structure is baroque in architecture and located on top of the hill. Its strategic location gives you a view of Mayon Volcano and the sea. After the fateful day of the eruption of Mayon Volcano, church goers went to Mass here, the church made from stone and was constructed in 1773. It was also used by the Japanese during World War II and was destroyed. It was renovated between 1971 and 1973. Today, it stands in majesty and beauty with the façade images carved from volcanic stones. Started in 2012, this month-long festival is celebrated every year, in the month of February to commemorate the eruption of Mt. Mayon centuries ago. This special event is held to celebrate the resilience of the people of Albay for being able to rise from the ashes, so to speak. Daraga, Albay is accessible through land and air. You can book your airline from major carriers like PAL and Cebu Pacific since they fly to Legazpi airport several times daily. If you plan to go on a land trip, you can drive to Albay or go to one of the bus stations in Manila like Philtranxo, Cagsawa Tours, Superlines and Isarog Bus Line.